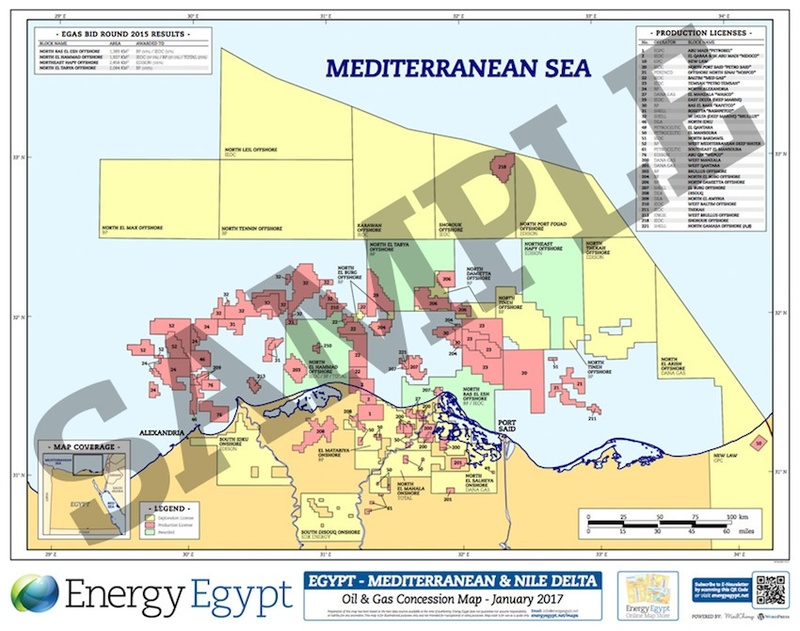 Oil & Gas Exploration & Production Concession Block Maps for Egypt. NEW! 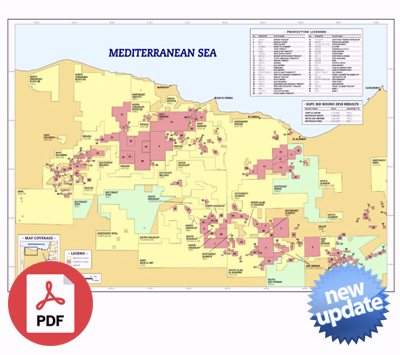 February 2019 Update - includes 2018 Bid Rounds Results. 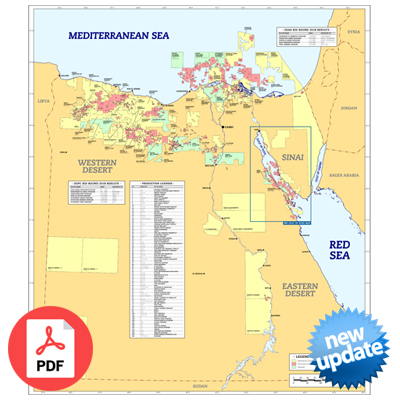 Accurate, up-to-date Oil & Gas Exploration & Production information for Egypt, E&P Concession Block data and Licensing Rounds information, with detailed maps for specific areas of interest. 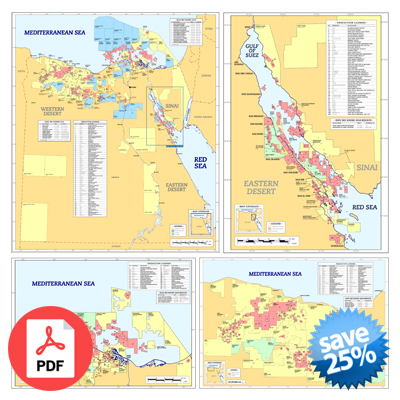 Maps are in full-color, high-resolution PDF format. 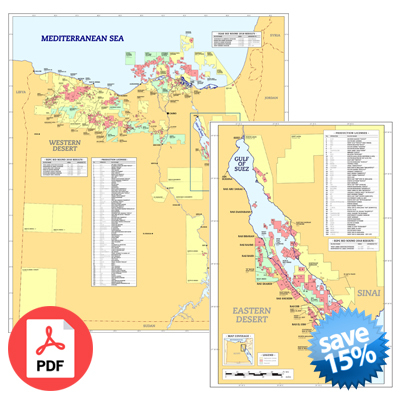 Wide-format print versions are available by special order. 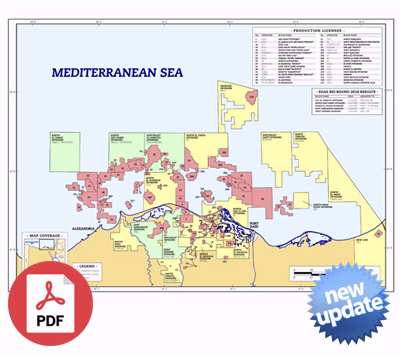 Maps are updated frequently. 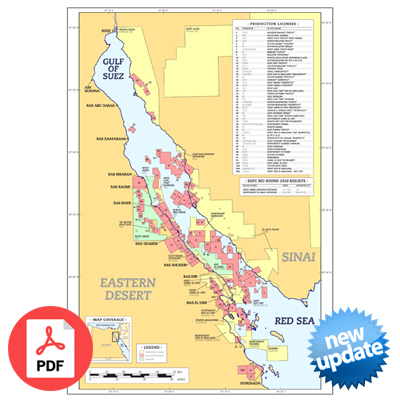 If an update is available within a month of order, the new version will be automatically emailed free of charge.